I’ve been back to Bosto n for a couple weeks but there are images from Utah that I’m carrying close through this cold and grey New England spring. Not really images, more like colors: white snow, blue sky, and green trees…. And then there’s the red. 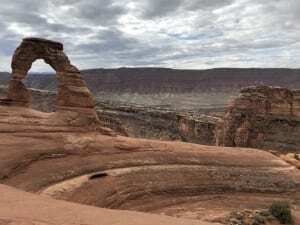 We took a couple of days while two of our children visited Park City and made the drive to Southeastern Utah to visit Moab and its famous geologic wonders and national parks. Its red earth reflected the sun, mesmerizing us as canyon walls turned orange at times and at others, maroon under a passing shower. We drove past geology that twisted into spires, spun arches, and bore canyons. We hiked and scampered and climbed like little children, the silty red dust rising on our calves and sneaking into our shoes, caking even, under my fingernails. We shed layers of clothing in the warm sun and when it set we luxuriated under the full moon. Moab was magnificent and if we could have stayed longer, we would have. There was so much to see, to do. And even as I felt the pull to stay, there was satisfaction in just having made the trip. It had been a crazy idea thrown out during dinner early in the week, heralding the type of enthusiasm on a Monday I expected to fizzle very easily by Thursday. We drove back to Park City and then Salt Lake where people boarded planes, returning to school or on business trips. 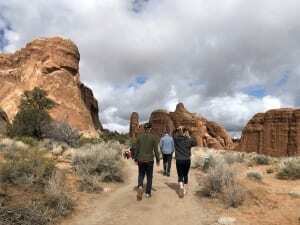 When my month in Utah was complete, I returned to Boston for a writing conference and getting back in the swing of real life. Looking forward to Passover and in preparation for our Seder, I considered the significance of Moab in the Exodus story. I should mention giving sites biblical names is common in Utah, as Mormons see themselves akin to Jews. Not just because they believe themselves to be descendants of Ephraim (a son of Joseph), but in that their history of persecution and long search for a promised land mirrored the Jews’ wandering in the desert for forty years. And not only is there a Great Salt Lake in Utah similar to the Dead Sea, there’s an Eden and Zion National Park, a Jordan River and a Mt Carmel, …. So what was it about Moab that was nagging at me? Interestingly, the word “Moab” is defined as either “of the father” or a “beautiful place.” Be sides being the birthplace of Ruth (one of my biblical heroines), it is also the last bit of wilderness where the Israelites stayed before entering the Promised Land. It is where Moses’ Exodus story ended, where he died and was buried, never able to enter Canaan himself. 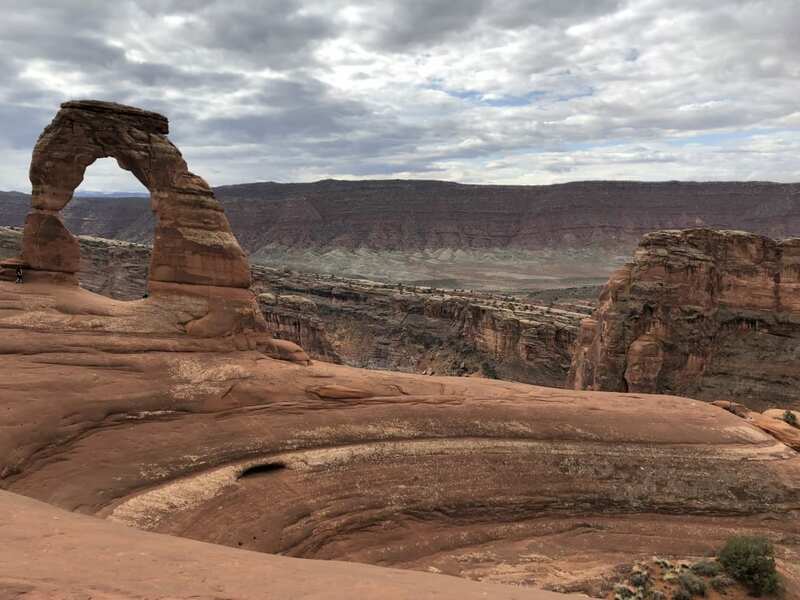 Our touring party of four hadn’t recalled much of Moab, Utah’s namesake before making the trip from Park City. Thinking about it in light of our Passover tradition, however, I can’t help search for meaning. Moab was the last place we would be together before going in four separate directions. It was a place we would observe a yarzheit, a place we would experience the super moon on the vernal equinox. We all felt the pull to drive down there, I wont go as far as calling it magnetic, but we were certainly on a mission. And I can’t forget that red, primitive earth, harkening the name Edom, evoking the birthplace of man. For us, it was a moment when we united and regrouped before moving on. It was a place where we were allowed to act like children before entering the adult world again. It was a place to wonder and dream and remember, and also to recognize how small we are and how short life is. It was a place of awe.